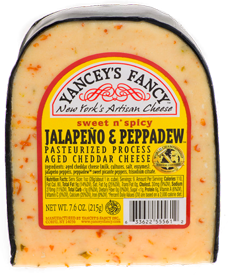 We here at Yancey's Fancy take pride in our unique flavors and our use of Peppadew is probably the most unique of them all. 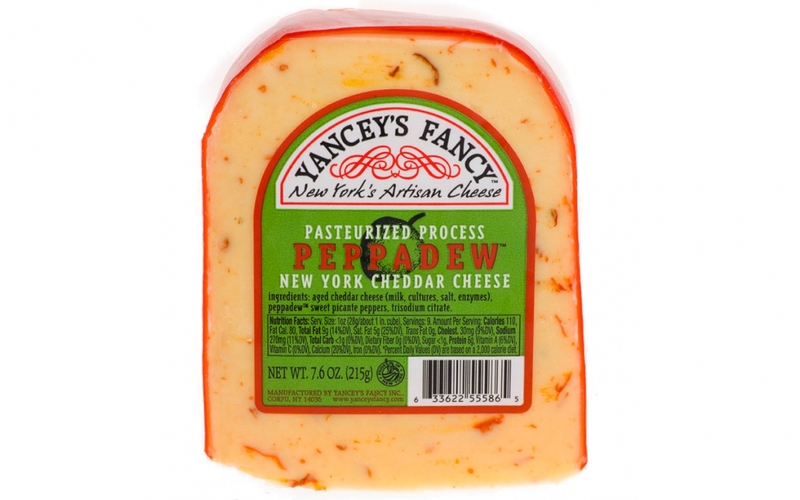 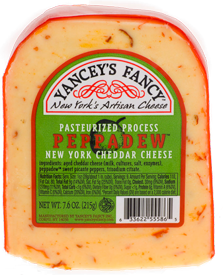 Currently Yancey's offers two flavors of cheese utilizing Peppadew as an ingredient. 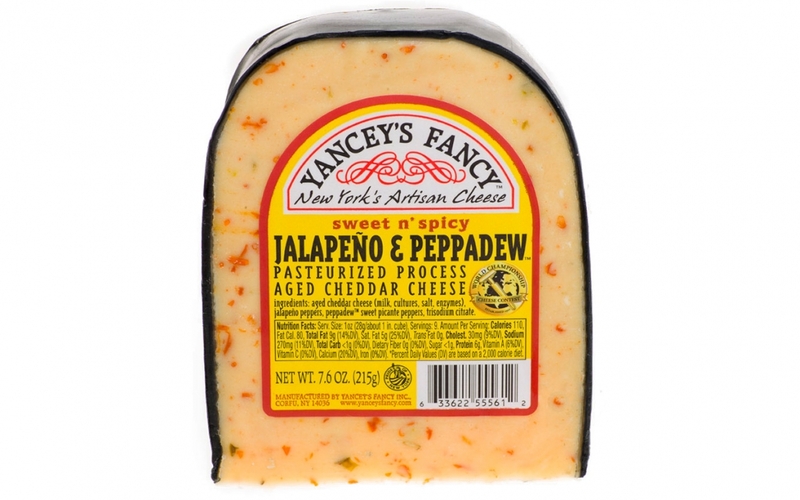 Jalapeno & Peppadew™ Cheddar and Peppadew Cheddar both have a distinct sweetness flavor stemming from the Peppadew, with the Jalapeno giving a little more heat for that extra bite if you prefer.